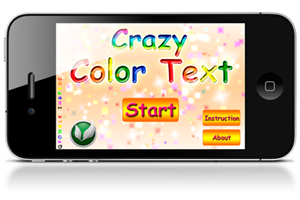 Crazy Color Text is a mind-blowing game! It is based on a classic brain teaser game. 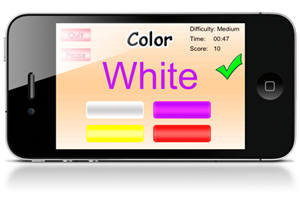 In the game, your goal is to name the color of each word such as Blue, White, Yellow..etc. 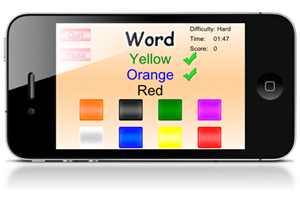 The difficulty is that each word is filled with a color that is not the same as the word says. Why difficult? Because the right half of your brain is trying to say the color, while the left of your brain is trying to say the word. - Crazy Color Text is OpenFeint Enabled. - Support online Leaderboards and Achievements.